Being that the Nigel Dean World Tour is being repaired (my fault, went for a gap that was not really there) I started thinking about getting a cheapo spare. A short foray through my local Craigslist showed me that many used bikes out there at the ~ $120 level were basically either overpriced junk or needed so much work you would easily double the outlay. out of curiosity went to my other LBS and saw a Trek Domane Al 2 - could not believe how light it was (fell in love a bit) but there are other options at around the same price (~ $650 - $800 plus tax) , Giant Contend 3, Marin Argento (not comp) - all seem to have similar components but hard to find many detailed reviews on them. Don't really want to spend more than $800 (it will be my wife's bday present for the big 60) and considered Jamis Ventura but did see some concerns about the wheels ?. I'm 59 about 189cm tall and 228 lbs and getting back into cycling after many years of laziness, main purpose of bike is fitness. Would be happy to hear any personal experience with any of the above. If the bike is for your wife you might want to take her to the bike shop and let her test ride and choose. Nothing like the wrong surprise for her birthday. Im the 70 year old helping at the bike shop part time, here..
decent bikes don't cost much, the manufacturing automation get well functioning parts , down in cost. And the shop will get you fixed up with the right size . and take care of you after the sale..
service is part of the deal..
...out of curiosity went to my other LBS and saw a Trek Domane Al 2 - could not believe how light it was (fell in love a bit) . This is a good bike at a good price. If your LBS was helpful you will be very happy your wife bought it for you. Test ride as many as you are able...that said, I like the Domane isospeed frame. I would look for a good used machine. The most important feature is whether it fits you comfortably. If you are concerned about reliability and maintainability of wheels, hold out for good old-fashioned 32 or 36 spokes per wheel, in a traditional cross-laced pattern. Yes!! Visit a few bikes shops and look at and test ride as many brands and models as you like. The shop owner/manager can suggest bikes based on the info you give about budget, how often you'll ride, how far you'll ride, any health concerns, etc. You are taller than I am and it's very rare that I can find a bike in my size at a bike store. I'm not super flexible so I like larger frames, 62,63, depending on top tube length. For decades I have bought all my bikes as frames and built them with the gearing and wheels I want, except for 1 used bike. If one of those bikes seems to fit you can upgrade the wheels later. You can get hand built 32 or 36 spoke wheels reasonably cheap. The key is the builder and how much care he puts into them. Take it from a guy who has destroyed many wheels over the years. Months after I bought my last bike, a friend told me that he picked up a great road bike at a great discount at a pawnshop! It turns out that after the big MS150 race from Houston to Austin, a lot of people want to get rid of the expensive bikes real quick, so they pawn them! Another way to look at it is you can buy the most expensive bike you can afford, but the engine is still old, and can only do so much! 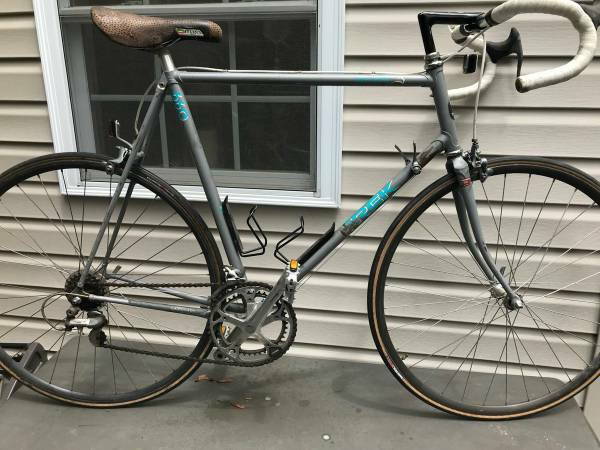 800 dollars will buy a very very very nice previously owned road bike. 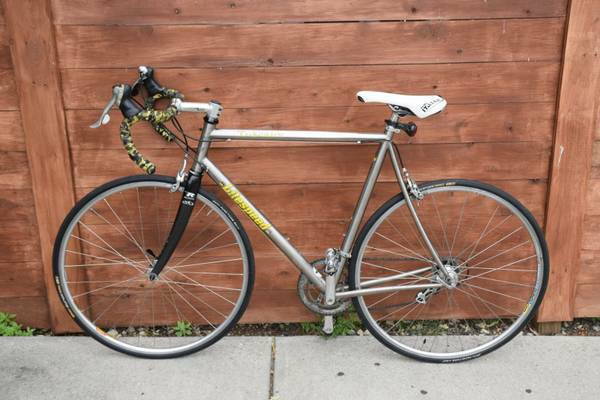 Some searching on CL and I bet you can get a 10 speed Dura Ace bike for that kind of money. Where are you. We love shopping for bikes. Test ride them all and buy the one that fits and you like the most. Yes, you can get a better used bike, but if you get new you don't have to worry about replacing components (chainrings, cassette, chain, brake shoes, etc.) and any tuneup you may need. I typically buy used, but you need to know what to look for and be prepared to make any adjustments. I also work on my own bikes. Check this out. He says it's a 62. If you considered 80s road bikes there are several beauties at low prices. If downtube shifters were ok while you ride into shape, they are great candidates to modernize. Last edited by Classtime; 06-20-18 at 08:08 PM. Reason: Added pics. 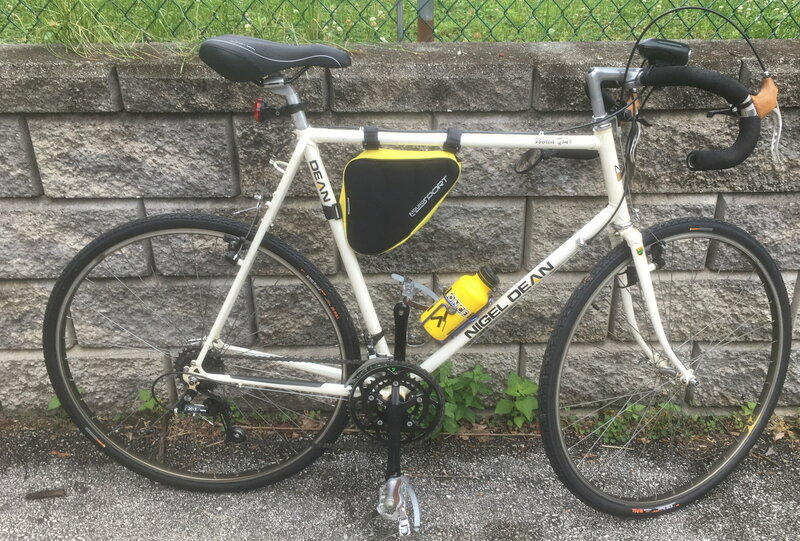 I met the seller of the Trek but did not view the Trek, seller sells many bikes, has about 16 for sale at present. Trek was out of my budget when I went to see a Fuji and a Zebra the chap was selling. Any LBS I've been in won't have much under $800, especially after tax. Certainly nothing with a 105 group. If you have a Specialized dealer then one bike you might like is the base Specialized Allez. Specialized bikes have pretty good MSRP's compared to the other big brands. Remember 2 bikes from different companies may fit differently even though they are listed as the same size. Top tube length, for example, may be different on 2 bikes called "58". Also, lots of so called "compact" frames (sloping top tube) are sold as small, medium, large, etc. to further confuse the fit thing. Look at all of the numbers, not just the listed (seat tube) size. Last edited by roybatythighs; 06-25-18 at 08:22 AM. 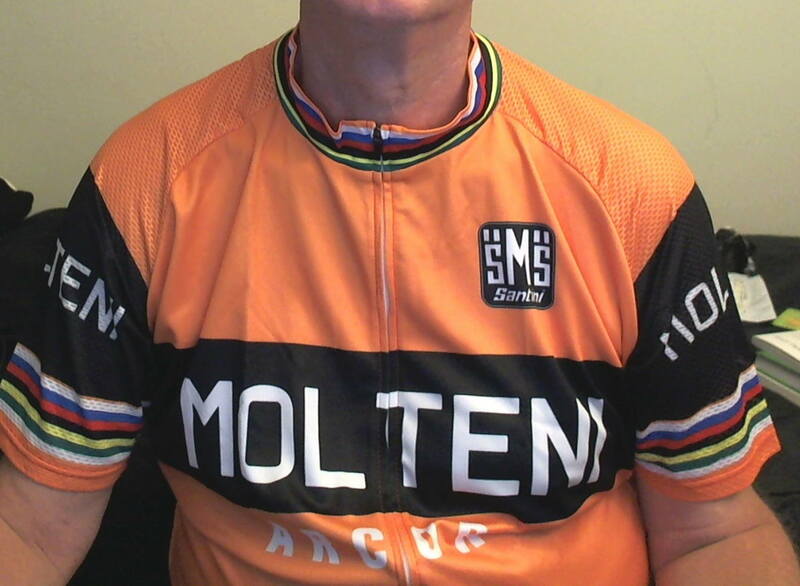 I should think a jersey like Eddie Merckx wore would be worth at least a couple mph!